Hammacher Schlemmer’s flagship and sole brick-and-mortar retail space, located in New York’s Midtown Manhattan district, opened in 1848, but the in-house testing facility known as Hammacher Schlemmer Institute came into existence only 35 years ago. “We are independent from Hammacher Schlemmer and operate without any commercial bias,” Faraj says about the nonprofit institute, which researches, tests, and rates consumer products, and compiles the popular “Best” category of catalog items ranging from heated vests to commuter cups to children’s tablets. “When we go out and search for these products, even though we partner with the merchandising team that wants to sell this product, we don’t care if the product is profitable or what its price point is, or even if we could work with this vendor. We don’t care. Our job as the institute is to find ‘The Best’ for the Hammacher Schlemmer customer. It’s not necessarily The Best for anybody; it’s only The Best for our customer. Everything we do here is for the Hammacher Schlemmer customer." 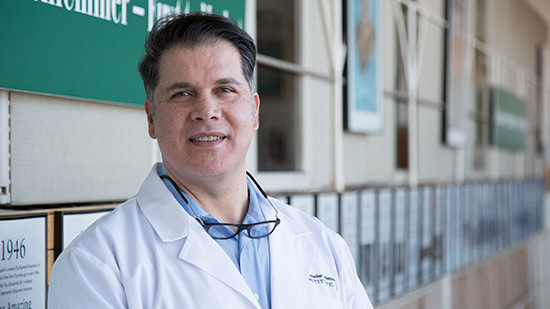 A native of Jericho in the West Bank who emigrated to Jordan during the Six-Day War in 1967, Faraj wanted to obtain his college degree in the United States. He supported himself and his employment at UL (Underwriters Laboratories) in Northbrook, Illinois, his last two years at the university paved the way for his career. Faraj managed UL testing and certification of electrical and electronic products for eight years and then accepted a three-year assignment to establish and supervise a UL business unit in Denmark. 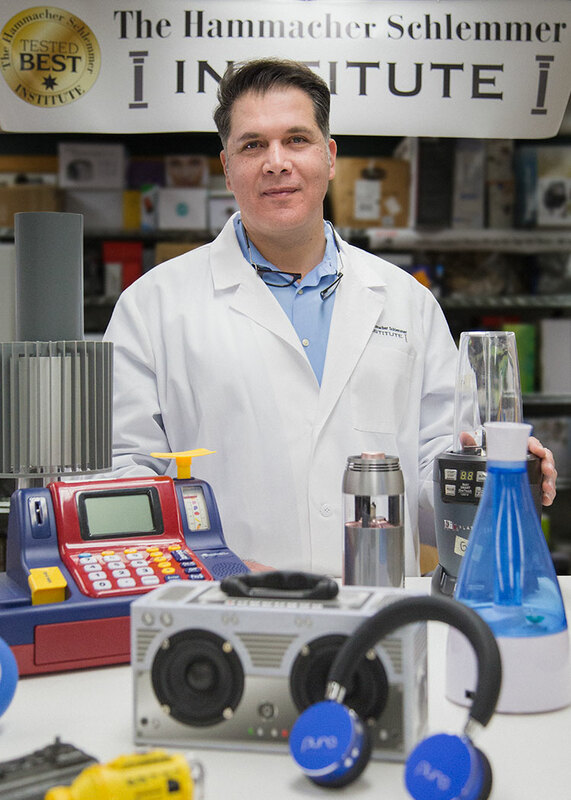 Upon his return to the U.S., Faraj spent nine more years with UL, ultimately becoming a global business and operations manager, and then became a small-business owner and distributor of green technologies before coming to Hammacher Schlemmer Institute. Sometimes it’s back to the drawing board. As head of product development, Faraj, along with his team, had an idea for a car dashboard heater and worked with a vendor to produce one to feature in a winter catalog. The item was popular, but too many customers complained that the heater fell off the dash if the driver applied the brakes too quickly. The item was restyled, but it didn’t project enough heat, so it was returned to the vendor for further refinements.